2013 Kverneland Taarup Silo King 18m3 Duo Twin Auger Tub Feeder. Comes with front cross conveyor, R/H elevator and R/H rear door. The feeder is fully checked through and ready for work. It is in mint condition throughout. 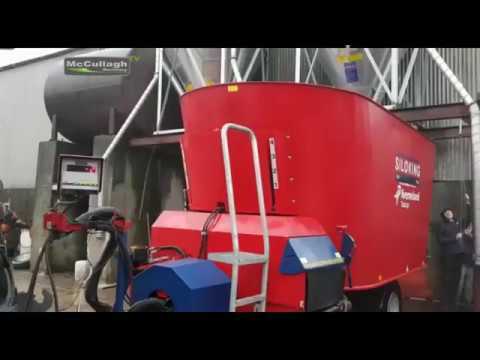 To make an enquiry about 2013 Kverneland Taarup Silo King 18m Duo Tub Feeder call us on ROI 048 6634 8213 | NI 028 6634 8213.